The staff at the Anxiety Disorders Center/Center for Cognitive Behavioral Therapy are world-renowned experts in the diagnosis and treatment of anxiety and mood disorders. Dr. David Tolin is the founder and Director of the Anxiety Disorders Center and the Center for Cognitive Behavioral Therapy at The Institute of Living. He is also Adjunct Professor of Psychiatry at Yale University School of Medicine. Dr. Tolin received his Ph.D. from the University of Arkansas, and completed a predoctoral internship at Tufts University School of Medicine/VA Medical Center, Boston. Cognitive-behavioral therapy for anxiety-related disorders in adults and children, particularly obsessive-compulsive disorder, posttraumatic stress disorder, and panic disorder. The nature and treatment of hoarding disorder. The nature and treatment of body-focused repetitive behavior disorders such as trichotillomania. The interaction between psychotherapy and pharmacotherapy in the treatment of anxiety disorders. Cognitive processes that underlie anxiety disorders, particularly dysfunctional beliefs and mechanisms of information processing. Dr. Tolin is Past-President of the Clinical Psychology Division of the American Psychological Association. He is board certified in clinical psychology by the American Board of Professional Psychology, and is a Fellow of the American Academy of Clinical Psychology. He is the recipient of the awards for Distinguished Contribution to the Science of Psychology, Distinguished Contribution to the Practice of Psychology, and Lifetime Contribution to Psychology from the Connecticut Psychological Association. Since 2003 he has served as a scientific reviewer for the National Institutes of Health. Dr. Tolin has been principal investigator on the National Institute of Mental Health (NIMH)-funded studies “Neural Mechanisms of CBT Response in Hoarding Disorder,” “Mechanisms of Hyperventilation in Anxiety Disorders,” “Neural Mechanisms of Compulsive Hoarding,” “Exposure, D-Cycloserine Enhancement, and Genetic Modulators in Panic Disorder,” and “Stepped Care for Obsessive-Compulsive Disorder;” and co-investigator on the NIMH-funded studies “Psychopathology of Compulsive Hoarding” (principal investigator: R. Frost), “Treatment of Compulsive Hoarding” (principal investigator: G. Steketee), and “Screening for GAD among Frail Elderly” (principal investigator: G. Diefenbach). He has served as principal investigator on several industry-sponsored clinical trials of experimental medications. Dr. Tolin was the host of the VH1 television series The OCD Project, and was the first psychologist featured on the A&E series Hoarders. In addition, he has been a recurrent guest on programs such as The Dr. Oz Show, Anderson Live, and The Oprah Winfrey Show. (1, 2, 3). Dr. Davis is continually impressed by the human capacity for resilience and the courage that individuals demonstrate as they face life’s challenges. Using evidence-based approaches, Dr. Davis collaborates with clients to empower them to make meaningful changes and alleviate their suffering. 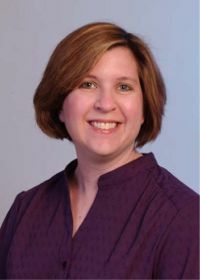 Dr. Davis attended the Clinical Psychology doctoral program at Suffolk University in Boston, Massachusetts.Prior to joining the Anxiety Disorders Center, Dr. Davis completed her predoctoral internship at University of Rochester Medical Center where she specialized in working with children, adolescents and families. Dr. Davis joined the Anxiety Disorders Center in 2012 as a post-doctoral fellow and is now a full-time staff psychologist. Dr. Davis works with children, adolescents and adults. Dr. Davis also has particular expertise in incorporating elements of mindfulness and acceptance-based treatments (such as Acceptance and Commitment Therapy and Mindfulness-Based Stress Reduction) into Cognitive-Behavioral Therapy. Dr. Gretchen Diefenbach completed her graduate training in clinical psychology at Louisiana State University. She completed her postdoctoral fellowship specializing in the treatment of late-life anxiety at the University of Texas-Houston Health Science Center. Dr. Diefenbach's primary clinical and research interests are in the psychopathology and cognitive-behavioral treatment of anxiety and related disorders. She has particular expertise with generalized anxiety disorder, obsessive-compulsive disorder, and trichotillomania. Dr. Christina Gilliam received her Ph.D. from the University of Missouri-St. Louis and completed her predoctoral internship at the Greater Hartford Consortium, a collaboration between the VA Connecticut Healthcare System, UCONN Health Center, Community Mental Health Affiliates, and Hospital of Central Connecticut. She completed her postdoctoral fellowship at the Anxiety Disorders Center in 2008, and remained on staff as a licensed psychologist. 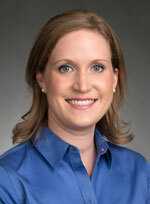 Dr. Gilliam specializes in the treatment of anxiety and related disorders. Her clinical interests include obsessive compulsive disorder, posttraumatic stress disorder, specific phobia, panic disorder, agoraphobia, and social phobia. As the Director of Educational Programs for the Anxiety Disorders Center/Center for Cognitive Behavioral Therapy (ADC/CCBT), Dr. Gilliam contributes to the dissemination of CBT. She manages the recruitment, selection, and training of graduate trainees, as well as the planning and administration of cognitive behavioral training for mental health clinicians within Hartford Healthcare and in the greater Hartford area. 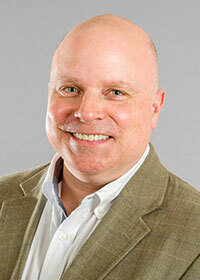 As program manager for the Anxiety Disorders Center/Center for Cognitive Behavioral Therapy, Dr. Scott Hannan is committed to maintaining the highest quality treatment standards for all patients. Dr. Hannan works with children, adolescents, and adults. His clinical interests include Obsessive-Compulsive Disorder, Phobias, Panic Disorder, and the treatment of children and adolescents with anxiety disorders. He specializes in the treatment of school avoidance, collaborating with families and school systems to assist children in their return to the educational setting. Dr. Hannan has specialized in the treatment of Hoarding Disorder and has been a featured expert on the A&E television show Hoarders. Dr. Hannan received his Ph.D. from Fordham University and joined the Anxiety Disorders Center as a post-doctoral fellow in 2002. After the completion of his fellowship, he became a staff psychologist and now serves as the program manager for the outpatient clinic at the Anxiety Disorders Center/Center for Cognitive Behavioral Therapy. Dr. Latin joined the clinical team at the Anxiety Disorders Center/Center for Cognitive Behavioral Therapy at the Institute of Living in 2018. Her expertise in psychological assessment of anxiety and related disorders and experience in providing empirically supported treatments for emotional disorders contributes to the state-of-the-art care at ADC. In particular, Dr. Latin coaches patients on how to apply a variety of strategies, such as mindfulness, acceptance, and thinking skills to increase tolerance to intense emotional and physiological experiences. By developing increased tolerance and confidence in managing distress, individuals can spend their energy on living a better, more meaningful life. Dr. Latin served on the faculty at Boston University (BU) for 10 years. Dr. Latin’s program of research focused on improving treatments, by identifying efficient and effective elements of cognitive behavioral therapy (CBT) for a range of emotional disorders. She co-authored the book Unified Protocol for Transdiagnostic Treatment of Emotional Disorders and numerous peer reviewed journal manuscripts. Dr. Latin has trained hundreds of providers in CBT and contributed to great efforts of disseminating treatments that work. During her tenure at BU, Dr. Latin taught undergraduate and graduate psychology courses and was the Director of the Master’s Program. Dr. Latin received her Ph.D. from Drexel University and completed her predoctoral internship at Brown University Medical School. She completed her postdoctoral fellowship at the Center for Anxiety and Related Disorders at Boston University. Dr. Latin provided consultation to television writers for CSI: Cyber. The TV show The Chronicle has featured Dr. Latin’s clinical work. Dr. Levy received her Ph.D. in clinical psychology from Concordia University in 2016. She completed her predoctoral internship at the University of Mississippi Medical Center/VA Medical Center Consortium. Dr. Levy completed a two-year postdoctoral fellowship at the Anxiety Disorders Center in 2018 and has remained on staff as a licensed psychologist. Dr. Levy is an active member of our research team. Her research aims to understand the biological, behavioral, and cognitive mechanisms of anxiety disorders, with the goal of using these mechanisms to develop new and improved treatments. Dr. Levy is currently the principal investigator on a Hartford Hospital funded study that examines how the body’s stress response may impact performance on a discarding task among patients with hoarding disorder. She hopes that knowledge gained from this project will help improve current treatments for hoarding and related problems. In her clinical practice, Dr. Levy specializes in cognitive-behavioral therapy for anxiety disorders. She has particular experience with exposure-based treatments for obsessive-compulsive disorder and posttraumatic stress disorder. Here at the Anxiety Disorders Center, she has also developed expertise in cognitive-behavioral treatments for hoarding disorder. 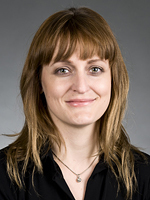 Dr. Suzanne Meunier earned her Ph.D. in clinical psychology at the University of Arkansas. She completed her postdoctoral fellowship at the Anxiety Disorders Center and remained as staff. She then worked as a staff psychologist and clinical instructor at the OCD and Related Disorders Clinic at Massachusetts General Hospital/Harvard Medical School. She returned to Arkansas and opened a private practice focused on the treatment of anxiety and OCD related disorders. Dr. Meunier returned to the Anxiety Disorders Center as a staff psychologist in 2014. She is grateful to have the opportunity to assist her clients in learning skills to help alleviate their symptoms and create meaningful change in their lives. She firmly believes in the human capacity to create change and strives to identify the barriers that impede growth. 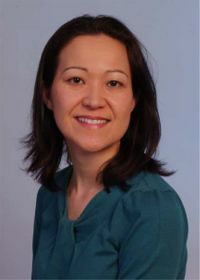 Dr. Meunier specializes in cognitive behavior therapy for anxiety, obsessive compulsive spectrum, and eating disorders. She is committed to the use of empirically supported interventions to optimize treatment outcomes. She also has an interest in helping individuals access and integrate their spiritual or religious beliefs in the treatment process. Dr. Worden received her Ph.D. in clinical psychology from Rutgers University. In 2009 she completed her predoctoral internship at the Greater Hartford Internship Consortium in Hartford, CT. In 2012 she completed a two-year postdoctoral fellowship at the Anxiety Disorders Center and has remained on staff as a licensed psychologist. 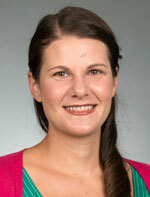 Her current clinical and research interests include treatment outcome assessment and mechanisms of change underlying empirically-supported psychological treatments, particularly decision making processes within hoarding disorder and obsessive-compulsive disorder. She has co-authored several publications and believes in the integration of science and clinical practice to facilitate up-to-date and effective interventions for patients. 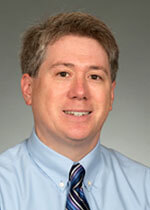 Dr. Worden specializes in the treatment of anxiety and related disorders in adults. She has particular experience with cognitive-behavioral treatment of obsessive-compulsive disorder and hoarding disorder. She is the primary clinician for the hoarding disorder treatment groups at the Center, and served as the primary clinician on a federally funded 5-year clinical trial investigating the neural mechanisms of cognitive-behavioral therapy for hoarding disorder.